The ideal return to the efforts of bodybuilders is a perfect body and perfectly shaped muscles. What many aspiring bodybuilders do not realize is that bodybuilding is only one variable in the equation. Without nutrition for bodybuilding, nothing is going to work out and this is the major reason why you may see potential bodybuilders in your gym wasting their time or taking much longer than it should take. They simply do not invest the time and effort in what they eat as they do in their training. When you exercise, your muscles become tired and the energy in your body is drained which means that after every workout, you would probably have an appetite and this is where nutrition for bodybuilding comes in. This is because planning your post workout meals are extremely important especially those that contain adequate amounts of carbohydrates and protein. However, remember that you cannot rely on any type and amount of carbohydrate. The adequate amount and the right source is important if you want a decent insulin release, something important for getting the strength back in your muscles. In this way, an early repair of muscles that have just been exhausted in the workout takes place when your nutrition for bodybuilding contains enough carbohydrates for re-synthesis and a positive balance of proteins. As far as carbohydrates in your nutrition for bodybuilding is concerned, you need to keep in mind that since your workout goals are different so should your carbohydrate intake be. Post workout nutrition for bodybuilding consists of two different meals with the first one consumed immediately after the workout and the second one taken about an hour or so later. The first meal should preferably be smaller; something more like a snack. It should be easily digestible and this is why, you will see many bodybuilders and trainers consuming high in energy liquid meals right after the workouts because liquids are easily absorbed. With this liquid meal, you need to elevate protein synthesis in your body, stop the breakdown of protein and replenish glycogen storage. 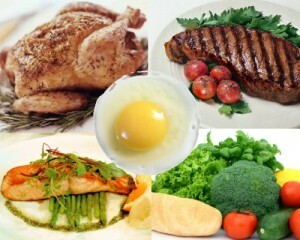 Therefore, you are looking at a protein rich shake for the best post workout nutrition for bodybuilding. The best kind of protein supplements that you can use include Whey Protein, which is probably the most popular one, Dextrose and Maltodextrin, BCAA supplements, antioxidants, creatine and L-Glutamine. Use enough water as a base for your shake as it will help rehydrate your cells and also add enough carbohydrate in it. The second nutrition for bodybuilding meal that you will take an hour or so later should have additional protein in order to help building of your body muscles. Do not forget to supplement this meal with water for additional re-hydration of your body. Try to include vegetables, whole wheat bread, pasta, sweet potato, chicken breasts, fish, eggs, nuts, lean meat and brown rice in this meal, as this food is healthy and high in proteins.